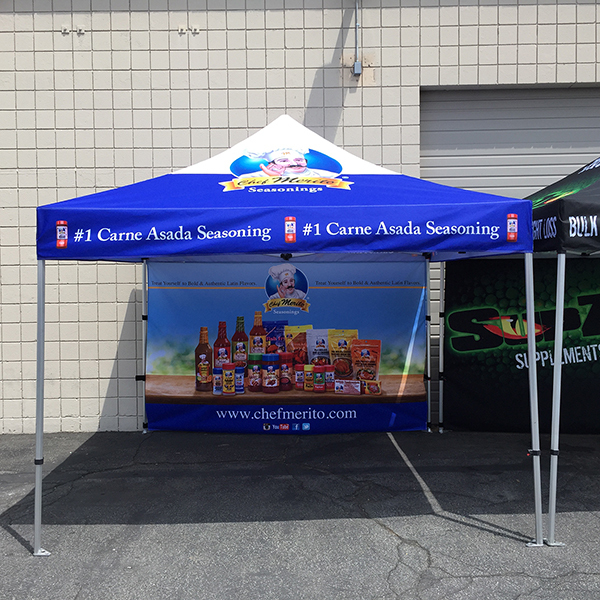 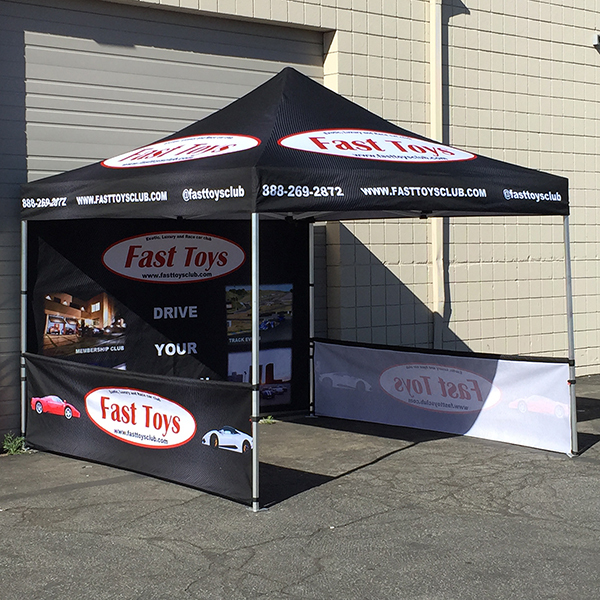 Custom 10' x 10' pop-up tent with a full color digital print top and heavy duty aluminum frame. 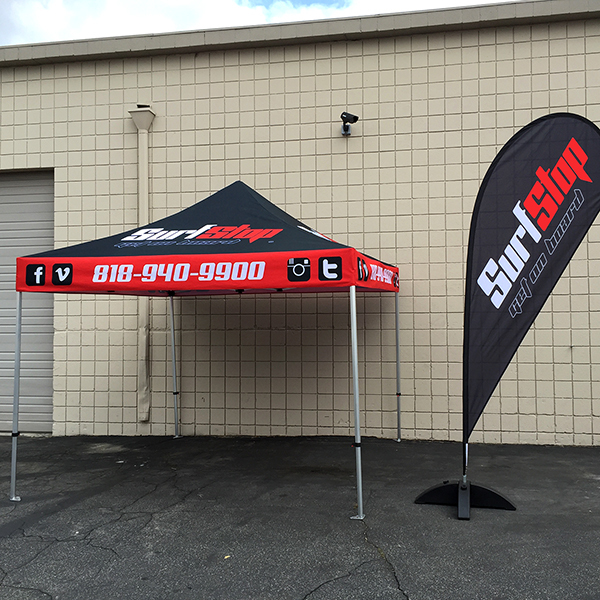 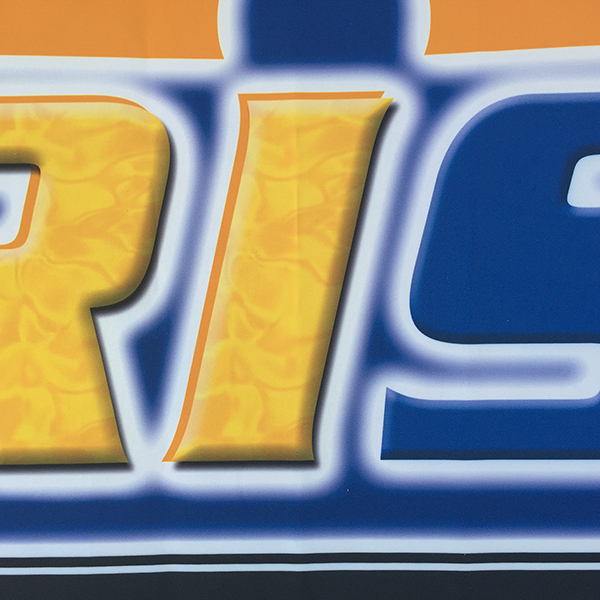 Backdrop wall and side skirts are optional and are not included in the price. 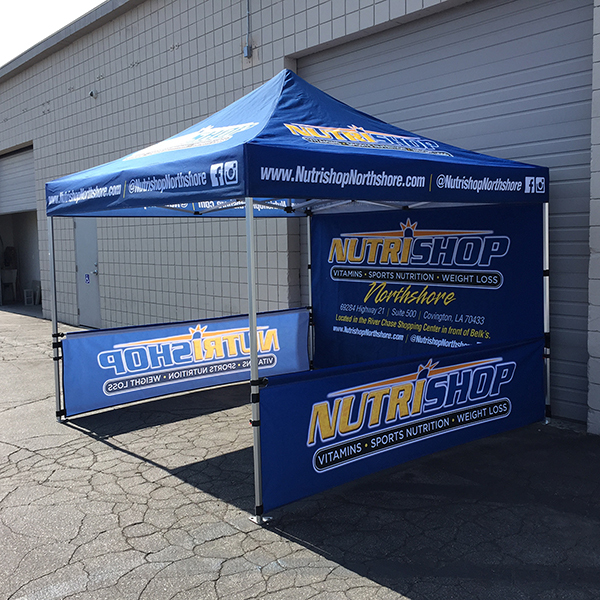 Please CONTACT US 1-800-778-2675 for more information. 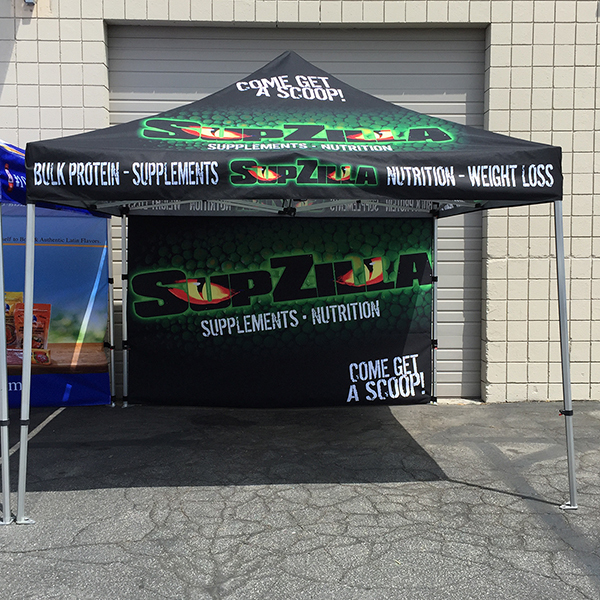 Capturing customers’ attention at events, festivals, promotions, convention center occasions isn’t always easy. 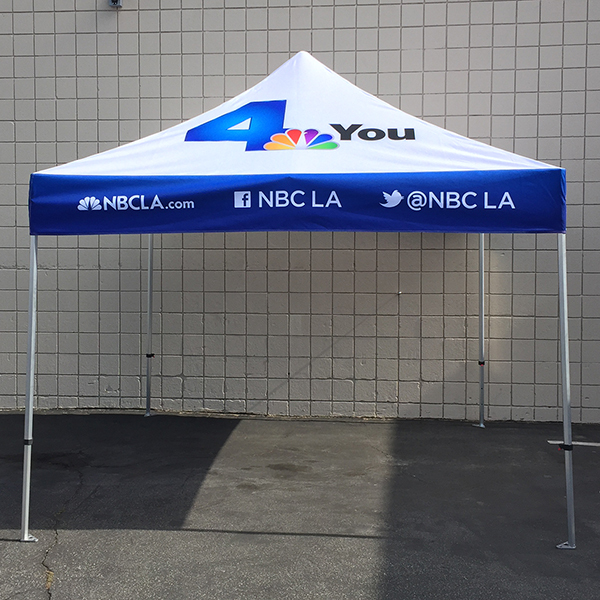 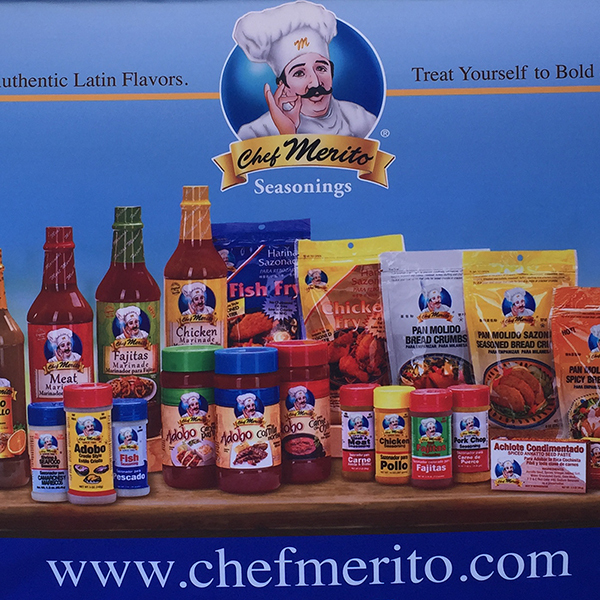 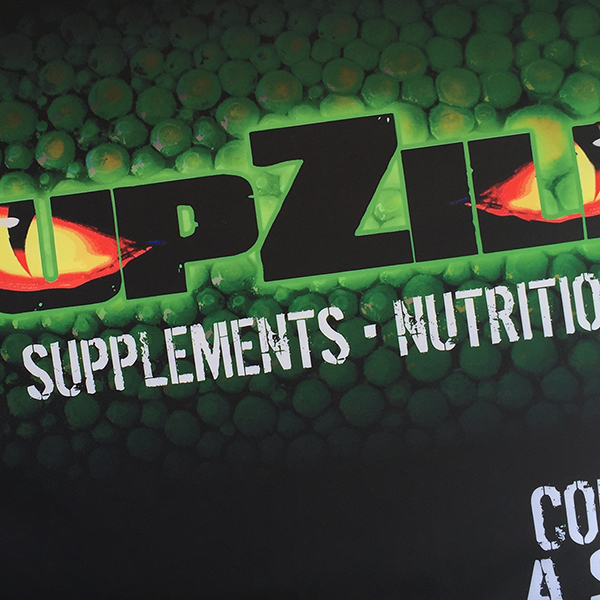 But by purchasing a custom made canopy tent with your own logo and writing will help you draw more people and potential customers in from any angle. 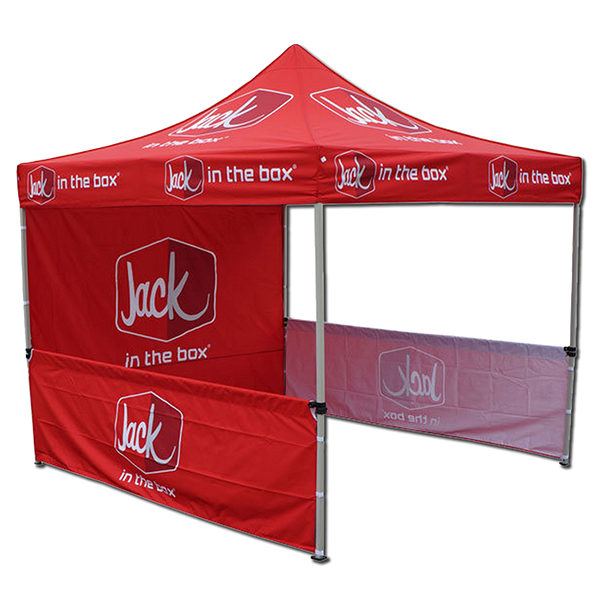 These lightweight and portable structures are easy to set up and hard to miss. 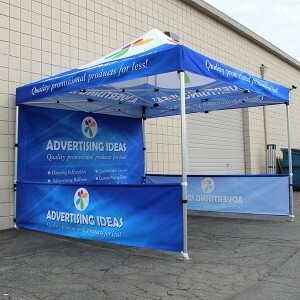 They are collapsible down to a manageable size, very easy to install and packing them in the included case is a breeze.